Economists, federalism experts rule out economic crisis in federalism - Integration Through Media ....! Kathmandu, Feb 11 : Economists and federalism experts have ruled out any economic problem looms in the country merely because of the adoption of the federal setup comprising the federal, province and local levels. 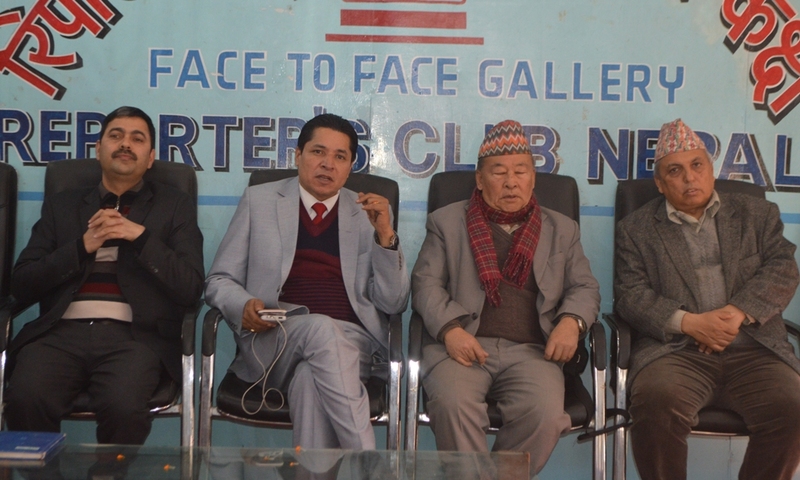 Speaking at a programme organised by Reporters Club Nepal here on Saturday, the economists tried to allay fears in some quarters that the country might face economic crisis in the context of implementation of federalism. They contended that although there were some challenges ahead in terms of managing the finances, there would not be a crisis as such because half the government expenses would go to the local levels with 60 per cent of the rights of the Singhadurbar (centre) transferred to the local level after the implementation of federalism and the end of unitary state system. The country is on the verge of formally having the federal government in place in two weeks and there is some public concern how to finance the federalism as questions are being raised over the possibility of soaring public expenditures in the face of implementing federalism. According to the economists who spoke in the programme, the current annual expenditure of the country is Rs 1278 billion, of which Rs 730 billion has to be mobilised from internal sources and the rest from foreign loans and donors. However, the speakers agreed that financial cost will certainly go up with 550 people’s representatives at the Province level and 35,000 people’s representatives at the local levels. Moreover, the local levels will have 53,000 civil servants and the Provinces 15,000 civil servants. Preparations are on to provide voluntary retirement to 23,000 employees who do not want to go to the local levels. Federalism expert Khimlal Devkota said financing federalism was only a managerial issue and it would not entail extra economic burden to the national economy as 60 per cent of the works which used to be done by the Centre before would be transferred to the local level. He suggested making the country’s tax administration efficient and strong, stating that the current public expenditure of Rs 730 billion could be doubled if we could strengthen the tax administration. “The country’s annual budget would be Rs 1700 billion and of this amount Rs 800 billion will go to the local level. Economist Dr Govinda Nepal said that although there were challenges in terms of resource mobilisation for implementation of federalism, there was no alternative to moving ahead by taking on this challenge. He informed that the country’s annual budget was Rs 1200 billion and Rs 72 billion was foreign loans. Dr Nepal said that the country has received foreign loans of Rs 1000 billion on an average annually from 1954 till date and its present debt was Rs 6000 billion. He estimated that the foreign loan component might further increase during the stage of implementing federalism. Foreign Affairs expert Hiranya Lal Shrestha spoke about the unwieldy situation of the country that the local people’s representatives have started going to the villages only at present when the NGOs and INGOs had already been working in the villages long ago.